Implement the 8 social media tips below to boost your online presence and get your listings noticed by the right people. As a real estate professional, you’re well aware of the importance of social media – for connecting to your clients, managing your reputation, staying informed, generating leads, finding people to work with… and much more and with so many listings in so many locations and so little time, an in-person visit is often the last step on any potential client’s to-do list. Prospective buyers always start with extensive online research. These 8 tips will help you create the right impression before the first in-person meeting! Social media has allowed us to make it much easier to connect with one another and our business connections are no different. 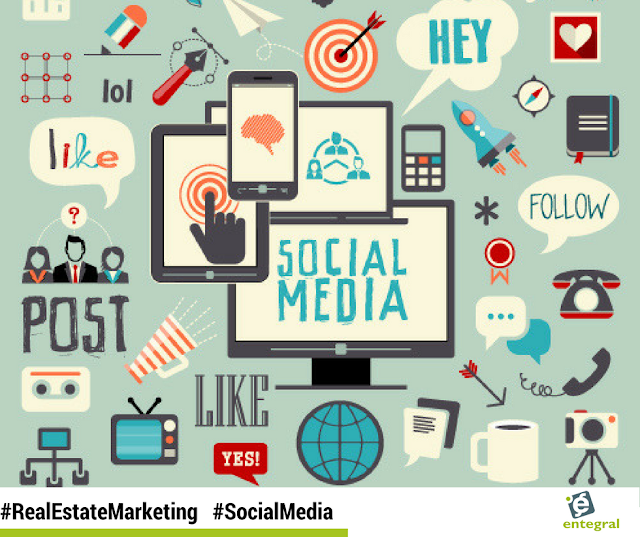 If you have a social media page, whether it is Facebook, Twitter or Instagram, that your potential clients can view you are making it a lot easier for them to connect with you about a listing they like. You can link your social media pages to your Entegral Flex responsive website to make it even easier for your clients to find you! Track your reputation across the web and prevent any potential problems from arising or turning into major crises. Your individual reputation as a real estate agent or broker, as well as that of the agency you work for, are important factors which can influence your clients’ decisions. Buying a house is a huge investment, and you’re not the only one who will be doing research online. Buyers want to make sure they’re purchasing from a credible, reliable, and knowledgeable source. Make sure you’re aware of what people are saying about yourself and your agency. You can even take it a step further have your PrivySeal displayed on your listings to ensure your credibility has registered agent is known by all visitors. When it comes to social media, your clients should have the loudspeaker, and not you or your agency. Unlike television, magazine or billboard ads, social media is unique in that it acts as a platform where communication works both ways. Promoting a listing on social can easily turn into a conversation with a prospective buyer, giving them a chance to ask any questions which might not have been considered in the listing. Make sure you respond to them before another listing catches their eye. With our Office Management System (OMS) all your leads are consolidated into one inbox where you can manage it efficiently! 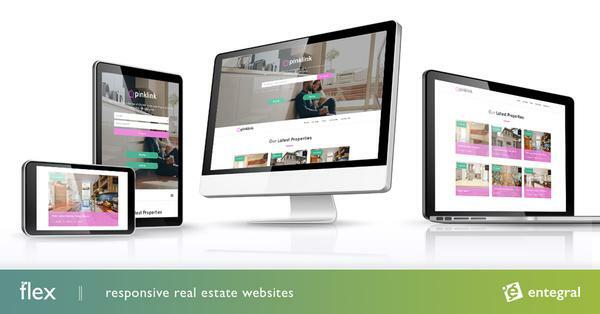 So whether the lead comes from your own Flex website, MyProperty or from one of partner platforms you will be able to quickly answer and manage it. Keep up with the latest trends in the industry. What kinds of listings are buyers eager to sign off on? What are your competitors doing? Social listening can help you monitor what other professionals in your industry are doing. Stay up to date on what the best listings look like, are the video tours on point? Are the properties staged in a particular style or color scheme? Your prospective buyers will appreciate working with such a knowledgeable real estate agent who’s on top of their game. If people are asking for recommendations of real estate professionals offer your services in a subtle yet effective way. Don’t just post an advertisement and forget about it, though. Be sure to interact and engage with your audience and answer any questions that pop-up so that your listings don’t go unnoticed. People search for different types of content on different platforms. Beautiful property photos are essential for image-heavy websites such as Facebook. Twitter, on the other hand, can give you lots of exposure but is more of a platform that readers turn to for advice and recommendations rather than glamorous photos. If you’re no stranger to editing video (and you shouldn’t be), YouTube also gives you a chance to shine. Well done video tours of your cosy listings look very inviting to prospective buyers. And remember that video tours can be hosted on your Flex website! Real estate can often involve working with other professionals: home stagers, inspectors, attorneys, and sometimes contractors and builders. Using social media to do preliminary research will help you find the right people to work with… and avoid taking any unnecessary risks. Whether you are a real estate agent at an agency or an independent agent, your personal brand is important. Since you can’t be everywhere, most prospective clients will only have the chance to get to know you through your online profile. The most successful profiles are not only professional but also help you create a personal connection with your audience. Remember to include something interesting about yourself, like that amazing photo of your last outdoor adventure. Professional images which display your properties beautifully are a must and something that all good real estate professionals already do. By adding a personal touch, you help yourself stand out from the crowd and that can make all the difference. However, avoid voicing your opinion on topics that arouse strong feelings such as politics or religion.